Contrary to what many people believe, national parks shouldn’t be overlooked during the winter months. December, January and February are some of the most calm, peaceful and beautiful months to visit the parks. 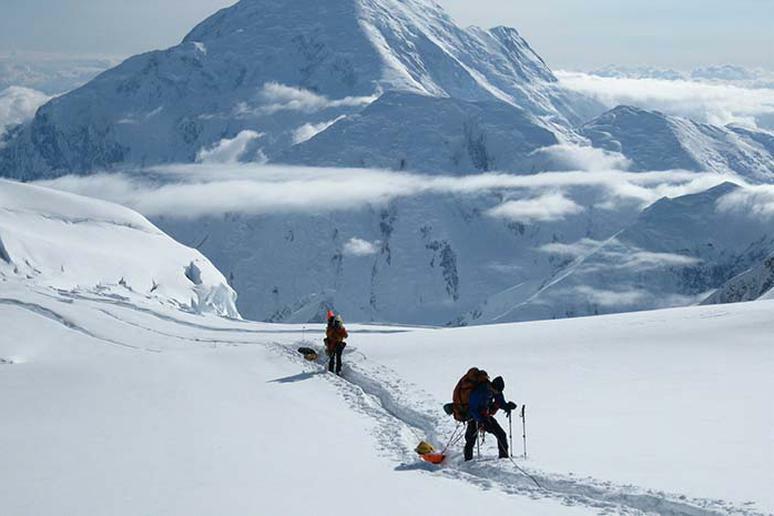 Those who venture out will be rewarded with smaller crowds and various lodging options. Snowy landscapes, nature and spectacular wildlife are just a few things you have to look forward too. Fewer visitors means that a last-minute getaway is an option; you can book your hotel room and airline tickets on short notice. Get the most out of your experience by taking advantage of the park's cozy lodges and beautiful cabins, many of which are extra enjoyable when used as shelter from the freezing cold. Hot temperatures and harsh weather conditions are common in some parks during the summer months, which is one of the many reasons winter is the best time to visit. 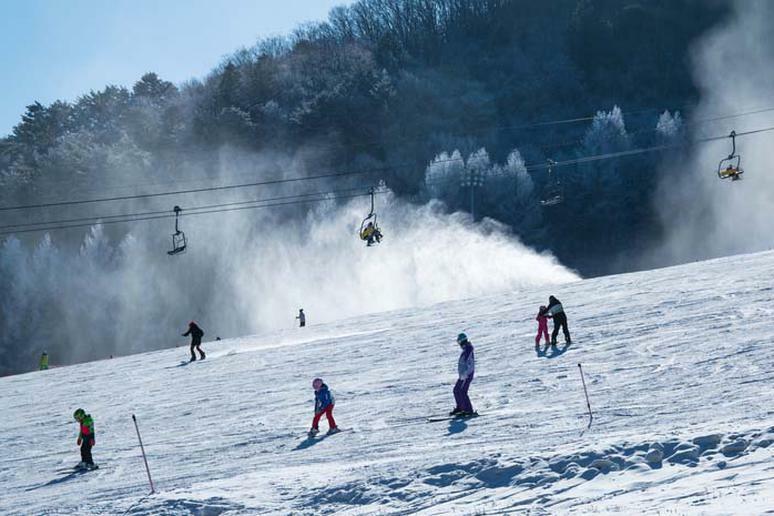 You can also try out different recreational activities, many of which are not available during the summer, such as dog sledding, skiing, snowboarding, snowshoeing, and snow camping. The great outdoors can be harsh when it's cold out, but there are still plenty of great reasons to get the best of these national parks in the wintertime. Those of you looking for a beautiful winter hike with dramatic scenery and snowy landscapes will definitely want to visit the national parks during the winter months. Head to Bryce Canyon National Park and hike along the rim of the canyon on the Fairyland Loop Trail; visit Acadia National Park and hike the Gorham Mountain Trail for stunning views of Otter Point and Baker Island; and go to Yosemite National Park to embark on the famous Mirror Lake Trail for spectacular views of the frozen lake and snow-covered cliffs. While there are many perks of visiting the national parks during this time of the year, one of the most mesmerizing is the stunning snow-covered landscapes. The dramatic snowy backdrops make for perfect winter wonderland photos. Some of the most beautiful national parks in the winter include Jasper National Park, Bryce Canyon National Park, Rocky Mountain National Park, and Yellowstone National Park. Skiing is one of the world’s most well-known winter sports, and one of the most common in the national parks. 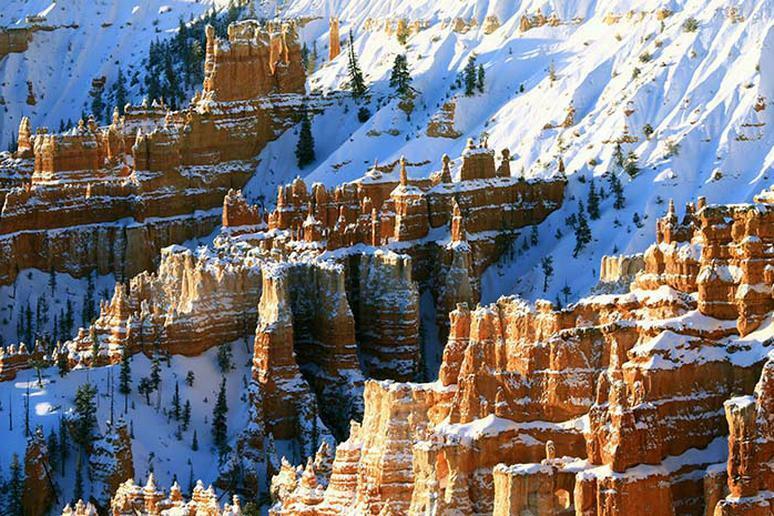 Head to Bryce Canyon National Park and Rocky Mountain National Park for some incredible cross-country skiing. Make sure to visit Yosemite National Park for your chance to explore the oldest downhill skiing area in California. 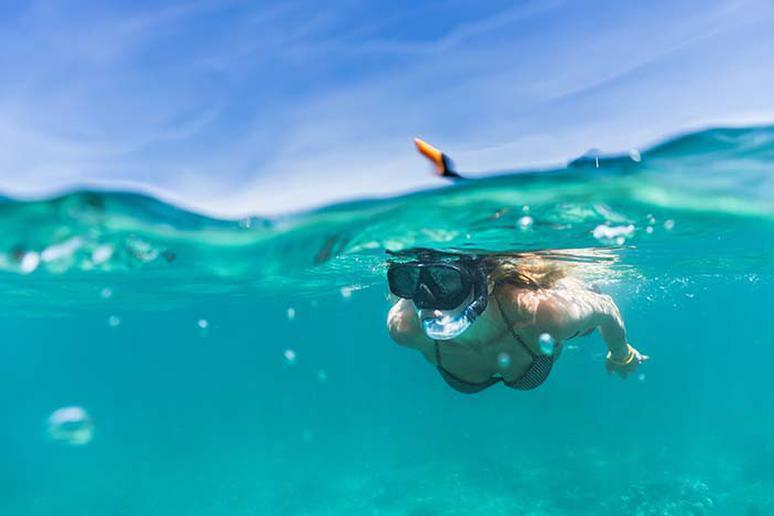 For those of you who want to escape the cold and participate in water sports, you’re in luck: There are some national parks where you can go snorkeling year-round. Biscayne National Park in Florida is known for its incredible coral reefs, snorkeling, and diving. 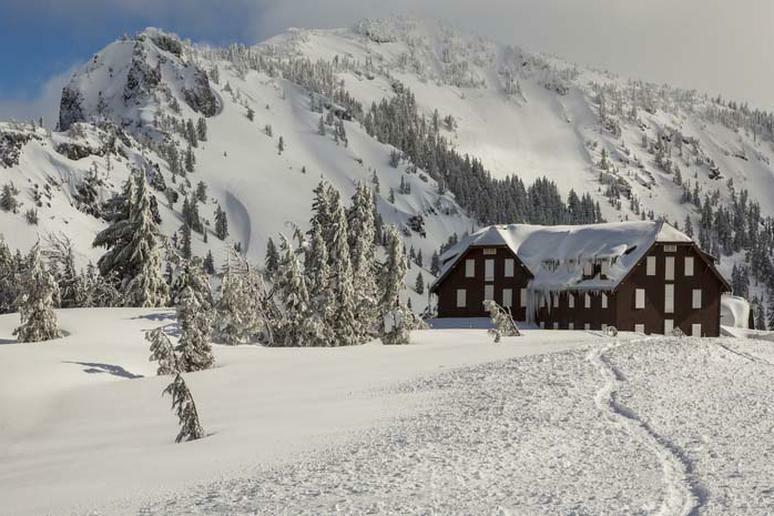 Winter is the best time for a romantic getaway, and what better way to spend it than in a cozy lodge located in one of the country’s famous national parks? Visit Hotel Terra, a “green hotel,” located in Grand Teton National Park; spend a few days in The Stanley, surrounded by Rocky Mountain National Park; and enjoy the best of both worlds with easy access to both Arches and Canyonlands national parks by staying at the Sorrel River Ranch. There are plenty of breathtaking caves throughout the world, but those in colder climates have an especially magical quality to them. 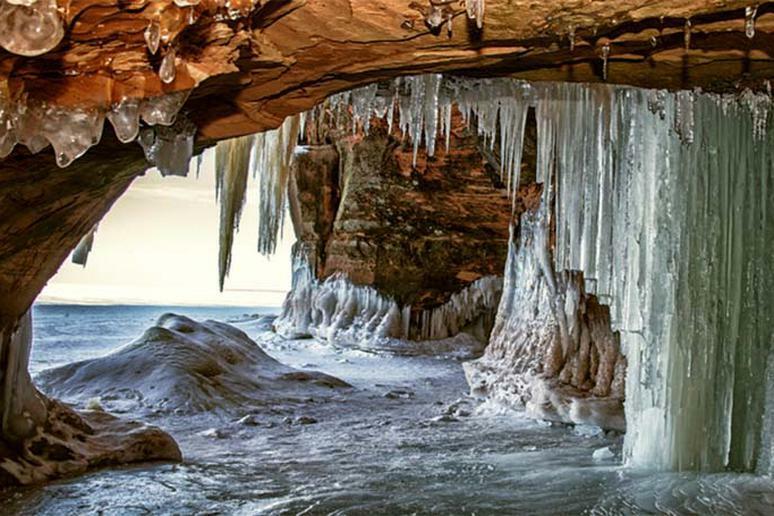 Head to the gorgeous Apostle Island National Park for winter beauty like you may have never encountered before. The ice caves are stunning in February; the lake surface is frozen over, and the lakeshore cliffs form a crimson red border to this stunning arctic landscape. Inside the cave, you'll find pillars of ice that seem to defy gravity. 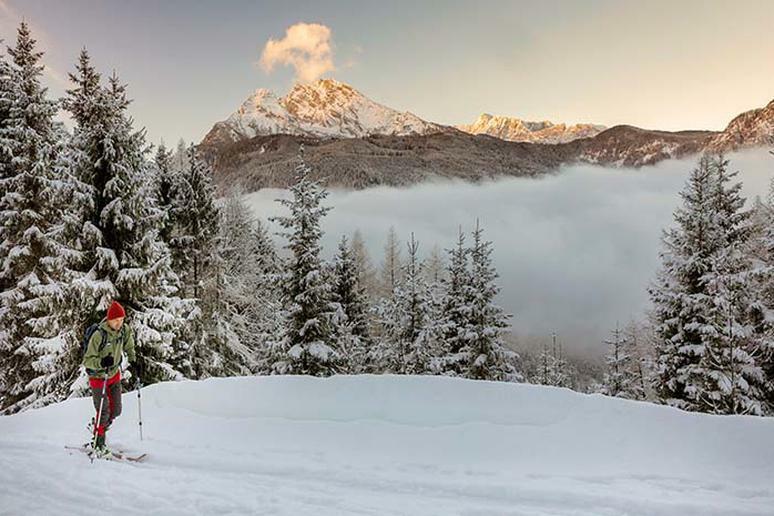 Adventure-lovers will be happy to know that many of the country’s national parks offer snow camping during the winter months. Recharge your body and mind with stunning views of wild nature, breathtaking frozen waterfalls, majestic ice-covered lakes and rivers, powdery red rock landscapes, and lavish forests — all blanketed by snow. Stay overnight in Yosemite National Park; view snowy peaks, beautiful waterfalls, and frozen streams; and set up camp at the Riley Creek Campground to view the magnificent northern lights in Denali National Park. 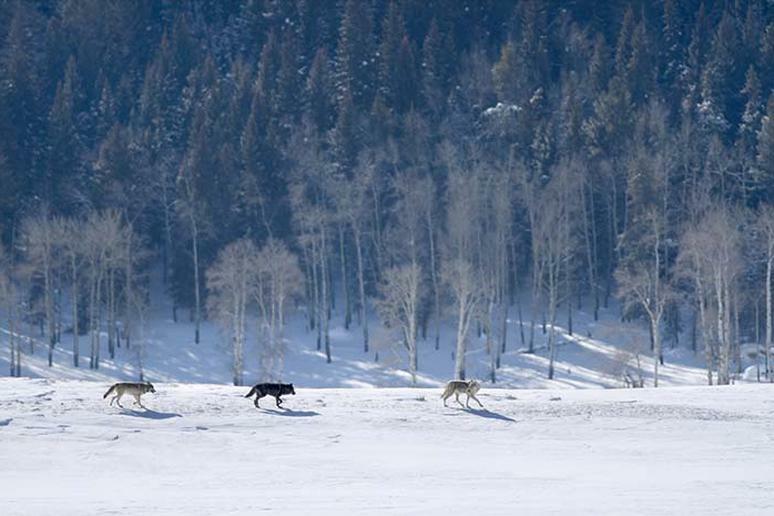 Travel over ice and through snow on a dog sled. 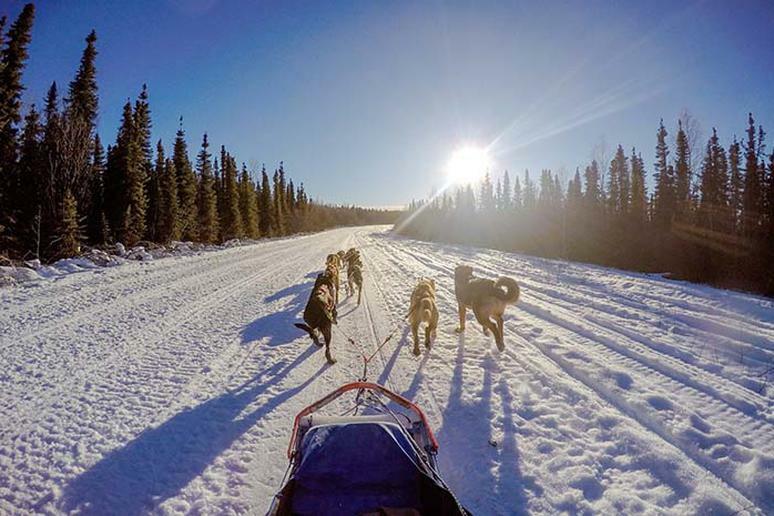 Thrill-seekers will want to visit Banff National Park, Glacier National Park, and Denali National Park in the winter to embark on exciting dog sledding tours. The two main types of dogs selected for these tours include Siberian huskies and Alaskan malamutes. 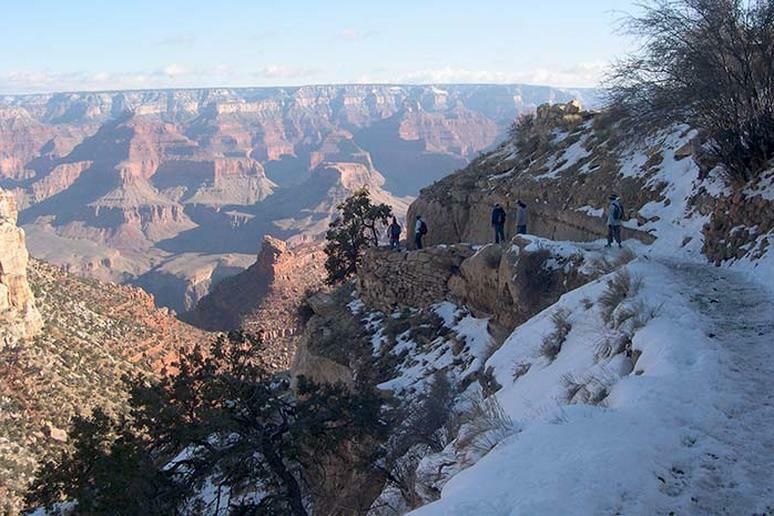 In many national parks, you will find fewer visitors during the winter months. Enjoy the natural beauty of Great Basin National Park without the tourists; embark on a journey through abundant forests and admire alpine lakes in North Cascades National Park without having to worry about running into plenty of people along the way; and explore the incredible wilderness in Lake Clark National Park and Preserve; go fishing, camping, and wildlife viewing without being disturbed by other people. This narrated trip is a once-in-a-lifetime experience. 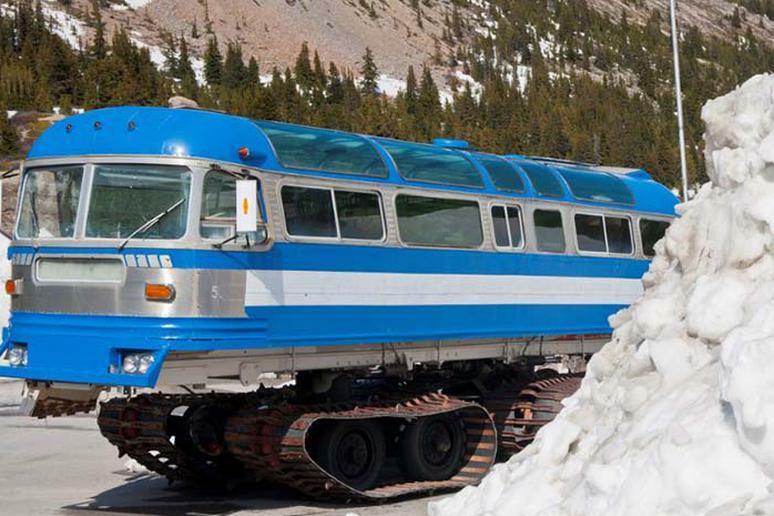 One of the only ways to visit Yellowstone National Park in the winter is by Snowcoach. Embark on this thrilling and interpretive tour that will take you to Old Faithful and other popular Yellowstone National Park destinations. Bonus: Most tours can be accessed right from your hotel. 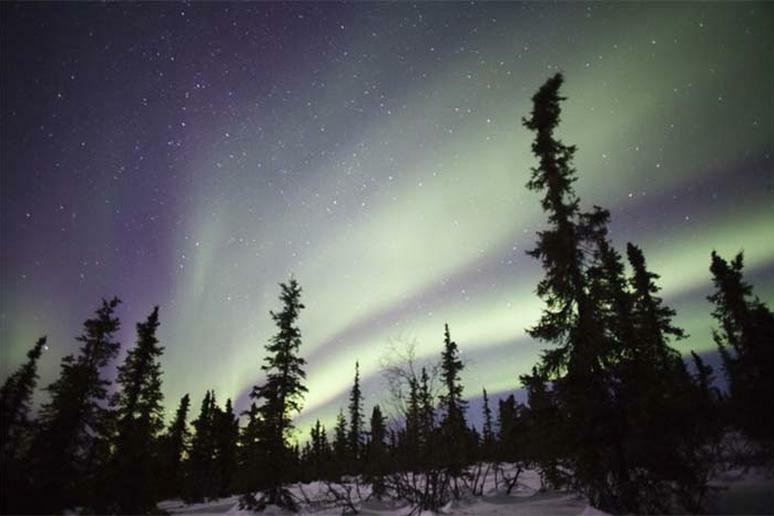 Observe the aurora borealis from dusk until dawn in Alaska’s Wrangell–St. Elias National Park. The best time to view this light display is between midnight and 2 a.m., from September through April. For those who would rather spend a winter getaway somewhere warmer, there are tons of national parks to choose from. Plenty of national parks have hot, harsh temperatures during the summer months, making winter the perfect time to visit. 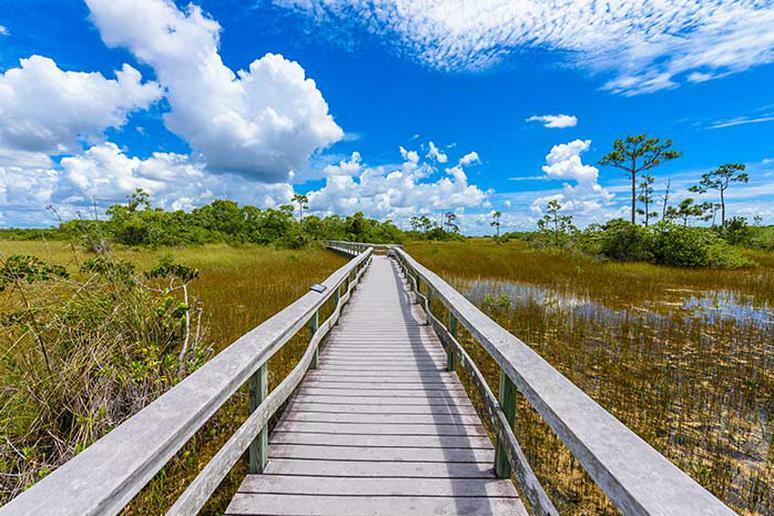 Everglades National Park in particular has mild temperatures and less humidity during winter. Contrary to what many people believe, just because it’s cold outside doesn’t mean all animals tuck themselves away. Admire elephant seals from December through March at Point Reyes National Seashore; view wolves at Yellowstone National Park; and go birdwatching at Padre Island National Seashore. 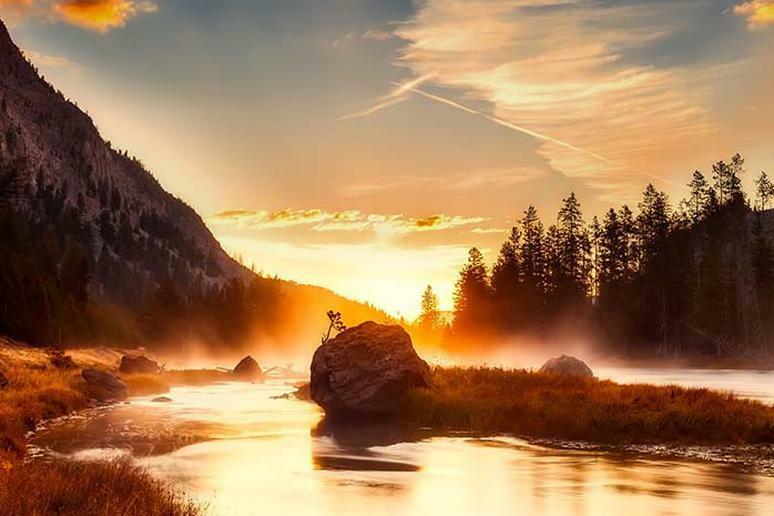 The national parks’ stunning landscapes and architectural designs make the most gorgeous scenery for a sunrise. Some of the best places in national parks to view the sunrise include Mormon Row at Grand Teton National Park, Pinnacles Overlook at Badlands National Park, Mather Point at Grand Canyon National Park, and Canyon Junction at Zion National Park. Glaciers are bodies of snow that compress into large ice masses over years. They form as snowfall exceeds snowmelt on high mountains. Cracks form in the ice, which cause the glacier to move. This happens due to precipitation and temperature changes. 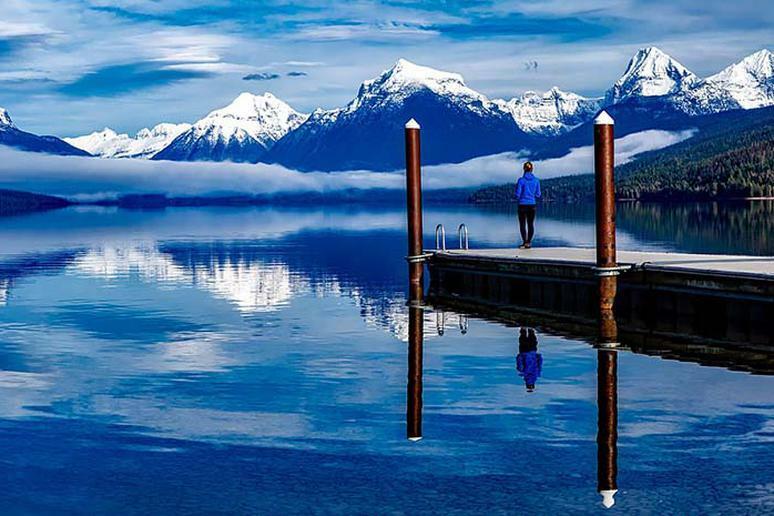 Hurry up and visit Glacier National Park to view some of the largest glaciers in the country before they melt. The park started with 150 active glaciers; today it only has about 25. 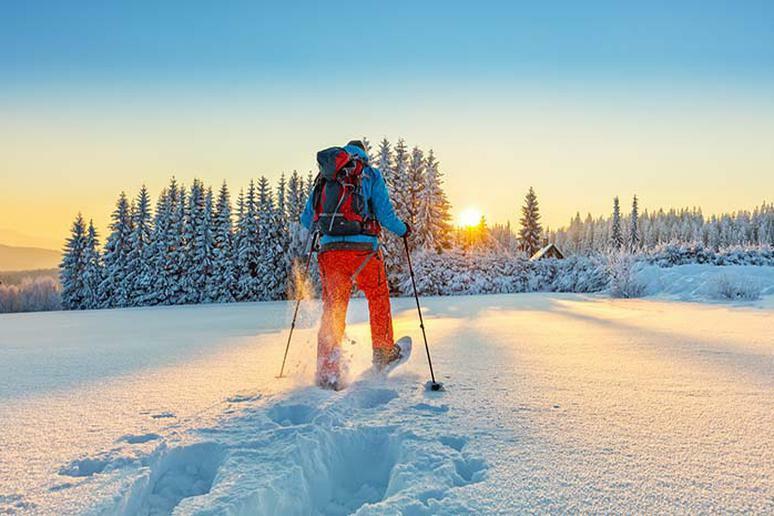 Outdoor enthusiasts that are hoping to connect with nature will find what they are searching for on a snowshoeing excursion in the national parks. This winter trek also offers the opportunity to see wildlife. Visit Rocky Mountain National Park for 355 miles of trails ranging from easy strolls to tough ascents, or head to Yosemite National Park for some of the best snowshoe treks in the country. 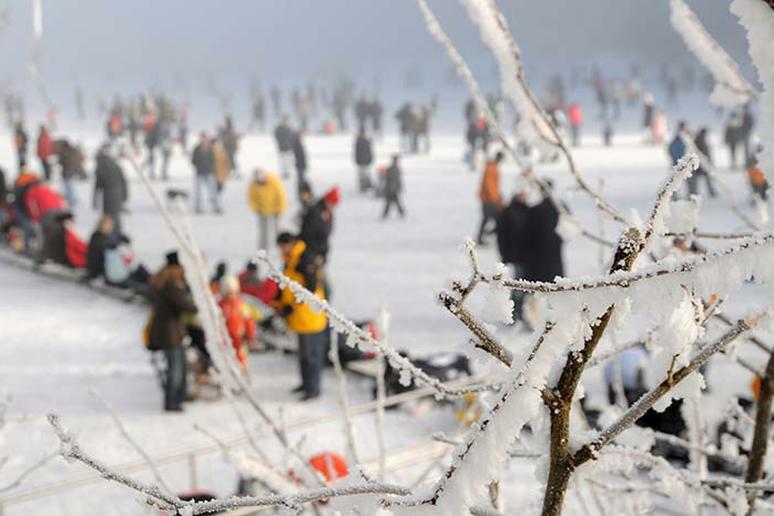 A common reason for visiting national parks in the winter is to participate in winter sports, but often overlooked are the exciting winter festivals. Attend the Bryce Canyon Winter Festival February 16 to 18 and enjoy free clinics, demos and tours. Acadia National Park is hosting their popular Acadia Winter Festival from February 8 to 10; and don’t miss the Estes Park Winter Festival in Rocky Mountain National Park from January 19 to 20. 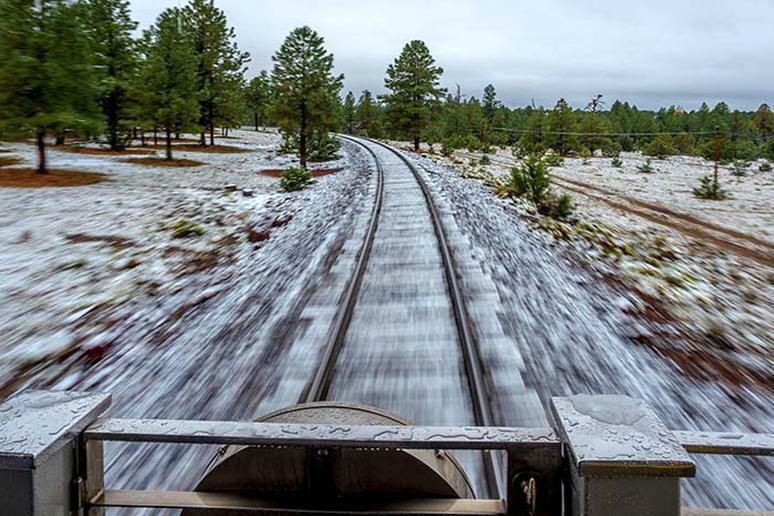 This is a unique way to explore Grand Canyon National Park in the winter. Embark on the "Polar Express" and revel in the nighttime wilderness of this stunning national park. Other national parks such as Glacier National Park and Yosemite National park also offer some of the most stunning train rides in the country.